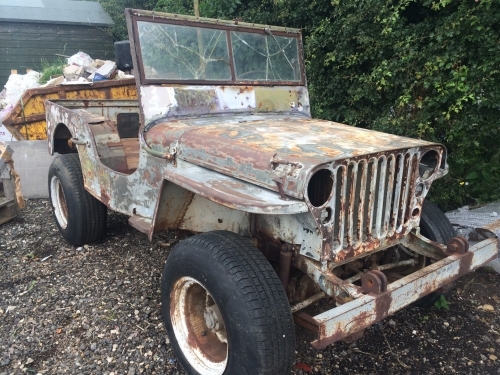 This ww2 jeep was purchased in an auction in Maidstone, Kent, whilst filming a tv programme for channel 5 called "Storage flog the lot". This 1942 model has now had a nut and bolt rebuild from the chasis up and virtually all new components all around keeping the original body chassis and as much of the engine that we could use, rebuilt the gearbox all new canvas top brand new seats and covers and a superb paint job with decals. "Storage flog the lot" will be aired autumn 2014 and will make very interesting viewing as 12 contestants go head to head to secure the best lots.